Carmel is an all-through school from pre-K through to Grade 12, comprising an Early Learning Centre, an International Baccalaureate (IB) PYP School, MYP and DP High School. Serving both the Jewish and international community, Carmel strives to develop independent self-directed learners. Carmel School is authorised for the highly regarded and globally acclaimed International Baccalaureate for the Primary Years Programme (PYP), Middle Years Programme (MYP) and Diploma Programme (DP). The school has embraced this programme because the learning attributes it espouses closely resemble the school’s own, and because it aims to develop internationally minded people who recognise their shared guardianship of an interconnected world. 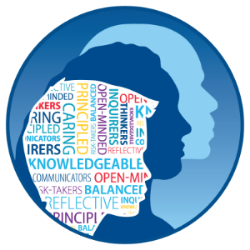 You can find further information on the IB Learner Profile here. Carmel School Association is expressly committed to every student's success — time is taken to understand, and to respond to each student's strengths and needs. Students are provided the opportunity to 'step forward' and experience and demonstrate leadership. Click here to read the latest editions of the Carmel Newsletters.